As soon as I got home, my mother told me, “You’re on break? Good, because we have a lot of things to do.” Trust me; she was not kidding; what did she make me do you may ask? Deep clean the backyard, flattened the dirt to put down stepping stones, clean the side yard, the other side yard, the garage, the cars, my room, go to the recycle station which can take over 3 hours if you can believe it, and this does not include my eight hour shifts at work and school work. 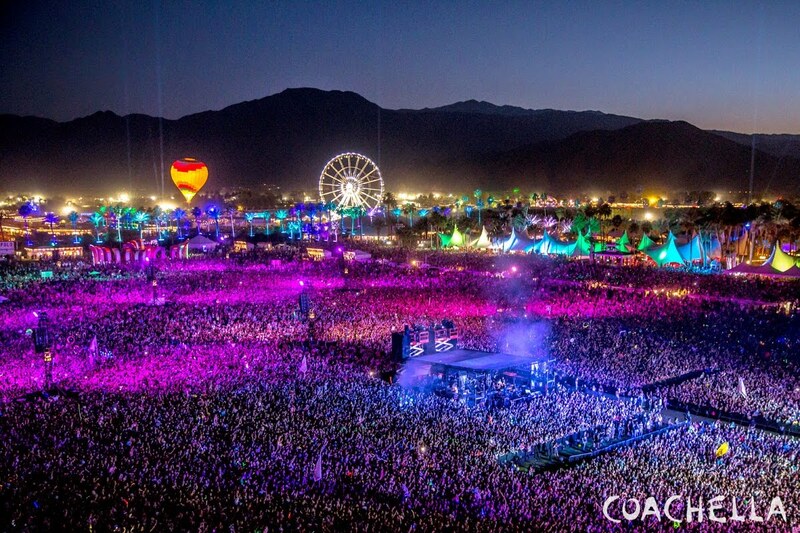 A ton of people go to Coachella each year; in 2015 a total of 198,000 people attended both weekends 99,000 per weekends which is one hell of an amount of people. That is not including the people that snuck in because almost at every event there is always someone that sneaks in. 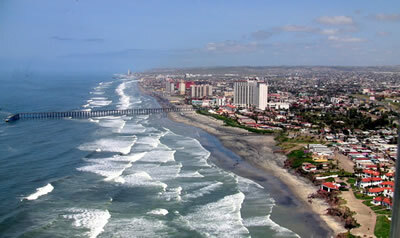 But they not only went to Coachella, but a ton of teens went to spring break capitals of the world which include exotic places and sometimes even out of the country, some brave enough to go to Mexico, specifically Rosarito. But the fun stories of being out is not for me, and I am sure not for a lot of people. I’d say that the best thing that happened during spring break was that I binge watched “13 Reasons Why” which happens to be my current favorite show until “The Walking Dead” and “Stranger Things” comes back on. Spring break is supposed to be about fun, and my mother thinks I had fun cleaning dirt in each individual 643 stepping stones in our backyard. Yeah, I had blast knowing that no one but my three dogs, sister and parents are going to be the only ones to ever see my masterpiece. It’s okay; I know I did a wonderful job. To cool for school? Play some pool. 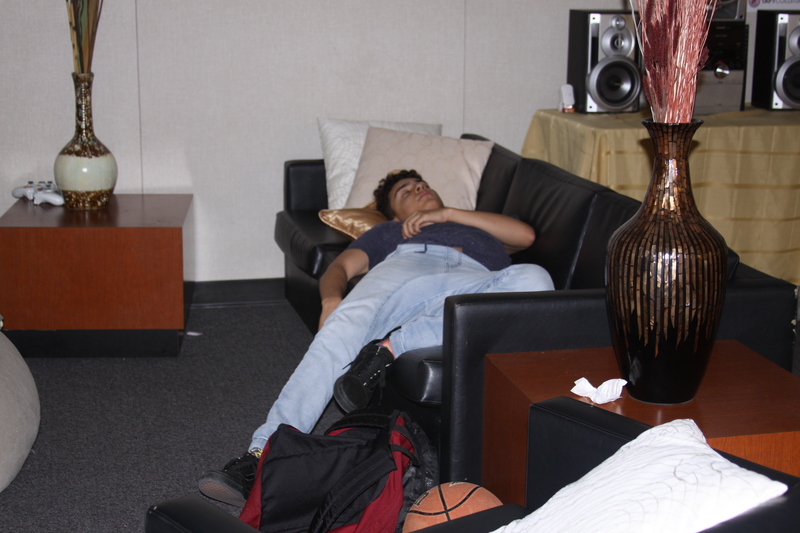 During my two-hour breaks in between classes I like to catch some shut eye every once in while. And honestly, the seats in the Library are comfy but I don’t want to wake up with my neck and back aching because I tried to fit my whole body on a small seat. 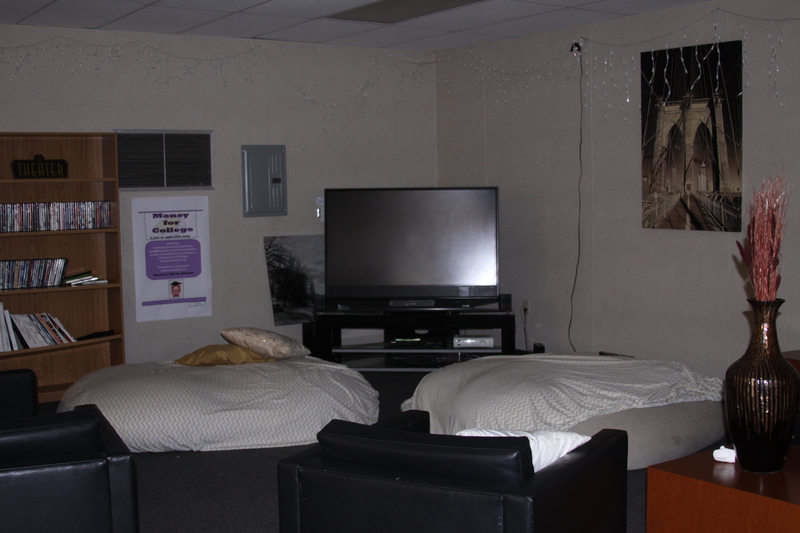 The Student Union Center changes the sleeping and relaxing game for Taft students with an Associated Student Body sticker on their ID’s. The Center is located near the Taft Gym, right next to the men’s and women’s restrooms. In the spacey portable room there are many things that you can do to pass the time, of course, you can go in there and do some homework, but you can also go in there and just relax. 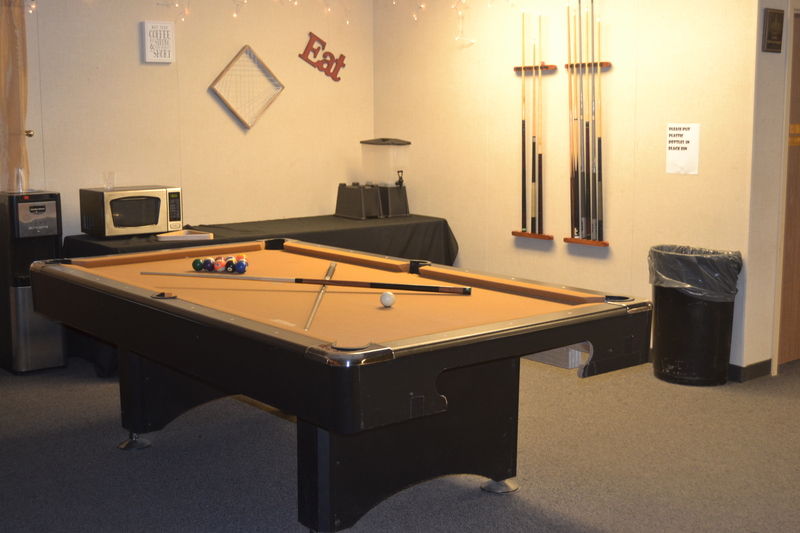 For example, there are two pool tables, a Foosball table, a ping pong table, two bean bags, two couches, a large television, an Xbox 360, video games and so many different kinds of movies to just pass the time. 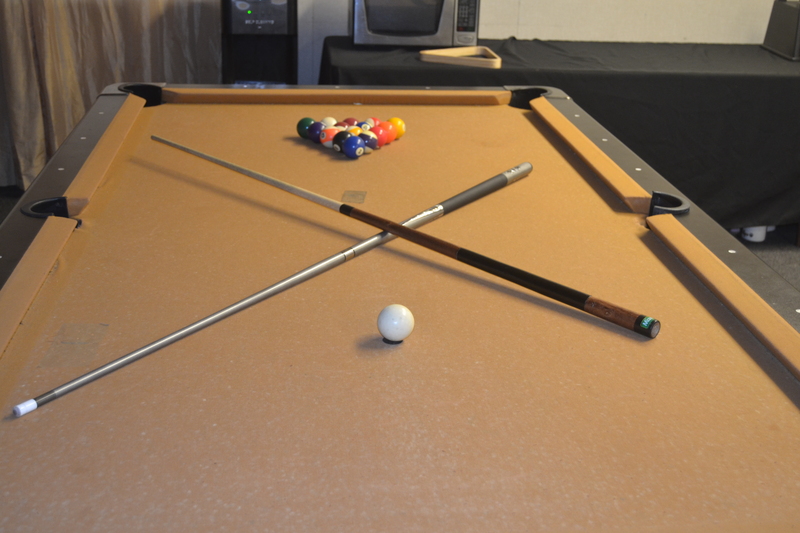 Honestly who doesn’t like to play pool, we already all play it on our phones and claim to be the best and handing out Ls, so test your real skill on one of the two tables in the Center. The Center is primarily run by a lot of the Taft athletes, mainly the soccer women. The school funds the ASB program which then funds the Center and all the nice things inside of it. So please if you decide to go in there, respect the equipment that is provided for our entertainment. Julie Hernandez was working at the Student Union Center the day we went in to take pictures of the place. She was kind enough to talk to us and let us know why she likes it in there so much. She says that it’s a great place for students to just go in there and relax and of course do some homework. The WiFi is pretty good in there so you know who doesn’t like some good WiFi so you know that Netflix isn’t about to buffer for about 30 seconds which really feels like 30 minutes. Or we are all just impatient human beings but hey, good WiFi is always appreciated. The Student Union center is strictly for one, Taft Students, and students with the USB sticker in the back of their ID’s. For the most part The Student Union Center is open from 8 a.m. to 8 p.m Monday through Thursday and Fridays from 8 a.m – 2 p.m. So if you are ever feeling kind of tired or just trying to relax and play some pool, head over to the student union center and have some fun, or sleep on the bean bags. Enjoy. 3.14 or an Apple Pie? 3.14 is a number that we all think about when we hear the word Pi unless you slept through math class. In this case, Pi does not stand for either 3.14 or the food, it stands for Primary Immunodeficiency. It’s a rare disease in which some of a person’s affected immune system is either missing or has some sort of dysfunction. It is truly unfortunate, but that is why Pi Week is so important; it raises awareness and it educates the unknown to the harsher things in life. We should not only enjoy our lives but help the life that just needs a helping hand. In less depressing words, Pi Week at Taft College was actually really awesome and fun. 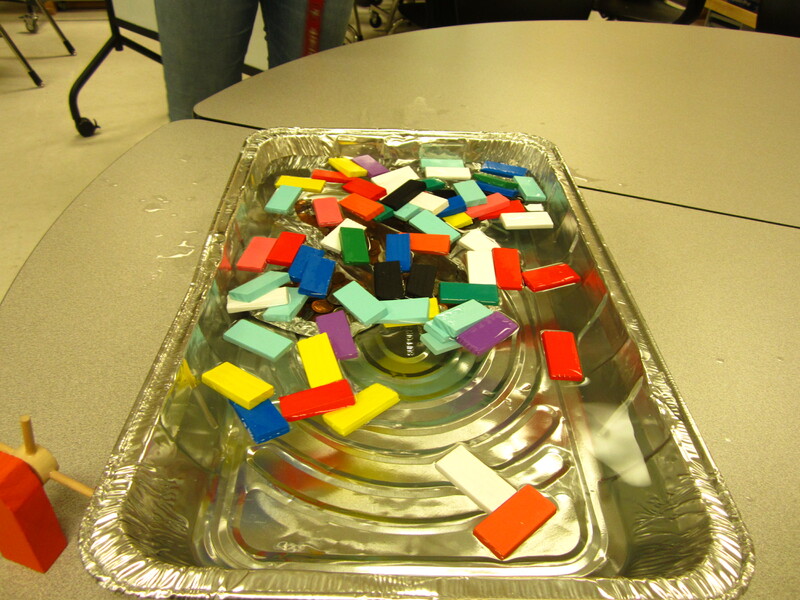 Through the four school days of March 13-17, we had a couple of two-hour events that students and staff participated. These events all took place inside the ConnExpo room inside the cafeteria. Now to the main events, Monday was one of the biggest turnouts of the week according to Kaila Haslam who was filling in for the activities coordinator. She said that on Monday a bunch of people showed up, mainly men’s baseball and women’s softball players (they were there to settle their differences on whose is better). The task at hand was to build a balloon tower using only tape and of course balloons. Haslama does not remember exactly, but she does believe that the women’s softball team won with the highest tower and earned awhole lot of tickets. They also won bragging rights. Tuesday’s turnout was not that bad according to Joey Smith. On this day, the participants had to construct a catapult out of rubber-bands and a spoon. The exact point of the game was not clarified, but from what was understood, it was to build the catapult and to see who could catapult an item the farthest. The winner of this particular event was Delyn Calloway. She took home or took to the fish bowl a whopping 12 tickets! Which believe it or not is actually a good amount. Wednesday was a grand total turn out of two for the first hour of the event; Haslem said that most likely later on in the day the regulars would return. 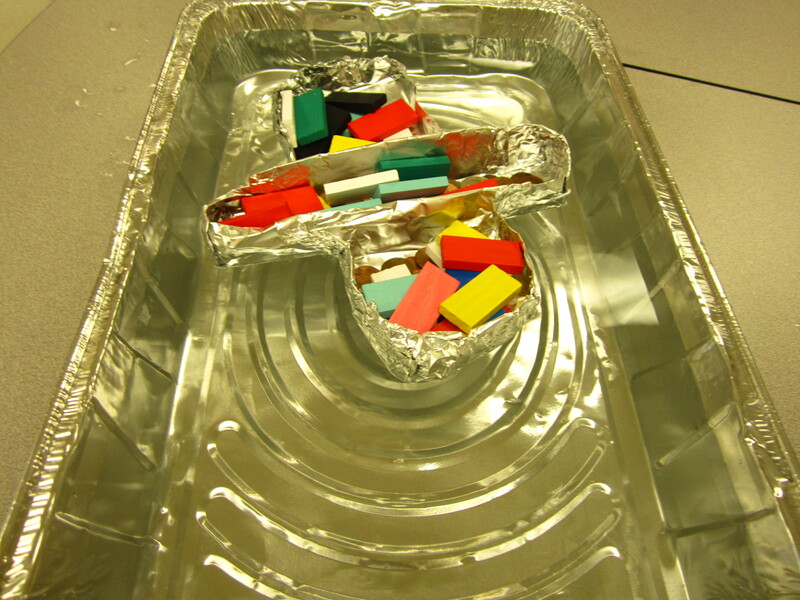 The event for that day was to build a penny boat. 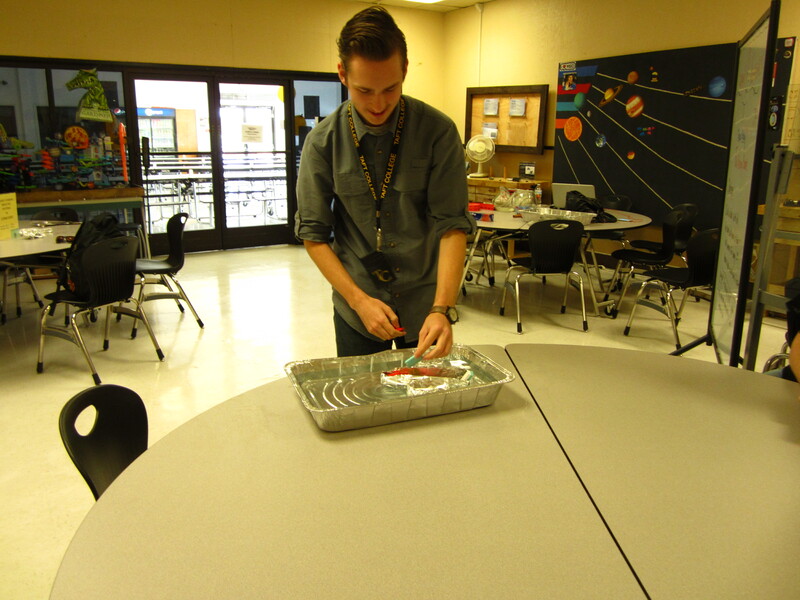 The goal was to build a boat out of foil that could hold as many pennies as it could until it sunk. I, unfortunately, had to leave before anyone other the Joey Smith and I were able to show off their engineering skills. At the time that I left, Joey set a pretty high bar to beat; his revolutionary design saved the lives of 197 pennies until we added the last penny to make it 198 that sunk the boat to the cold dark waters bellow to never been seen again. I, on the other hand, only succeeded with 96 pennies. I do not have a future in engineering. Everyone that participated received a ticket. For each event such as the penny boat, for every 25 pennies we received 1 ticket. We put our information on those tickets and placed them inside a fish bowl. At the end of the week, a ticket would be pulled from the bowl and that one lucky winner will take home a brand new Ipad MINI.